Season 1, Ep. 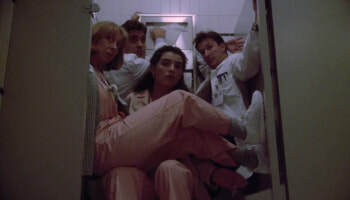 15: "Feb. 5, '95"
Between the Statue of Liberty pose, crash cart antics, birth control scrubs, and Dr. Ross using his powers for good, this episode has it all! Season 1, Ep. 14 "Long Day's Journey"
We talk about Dr. Kayson's comeuppance and how Dr. Ross learns that his reputation precedes him. Dr. Benton thinks pediatricians have it easy, but this episode proves otherwise. Carter and Chen's competitive relationship starts to reveal itself. And, we meet Jeannie Boulet! Season 1, Ep. 13 "Luck of the Draw"
Welcome to Episode 13! We discuss how Peter could be a better brother, how Susan could use a break from Dr. Kayson and whether or not Doug has a been replaced by an alien. We also welcome Deb Chen and her antics... and much more. We digress a bit in the beginning about VW Beetles and a little more in the end about, well, listen and see. Season 1, Ep. 12 "Happy New Year"
In this episode we talk about Carter finally making it into the ER, Lydia's New Year's "revolution", Chloe's move, Doug's thoughts on the future, and Susan's trouble with Dr. Kayson. And where did Carol's blue scrubs come from? We might also digress and talk about our kids a little... and Debbie is finally watching "This is Us." Season 1, Ep. 11 "The Gift"
Welcome to Episode 11 "The Gift". 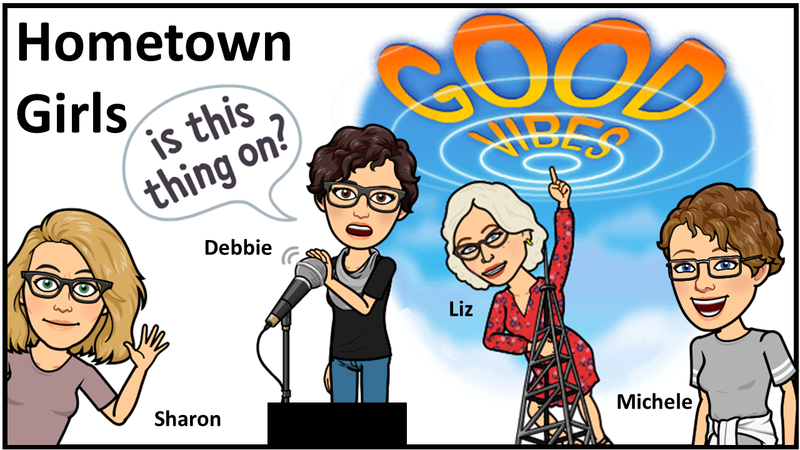 Patrick and Mrs. Cavanaugh are back, which makes us both happy and sad, Linda wows us when she jumps in and answers the phone and buys the staff dinner, Chloe has some big news, and we have yet another organ donation situation. Oh, and Debbie's head explodes... again! Season 1, Ep. 10 "The Blizzard"
​Welcome to Episode 10! First we want to say how saddened we were to hear about Vanessa Marquez's untimely and tragic death. 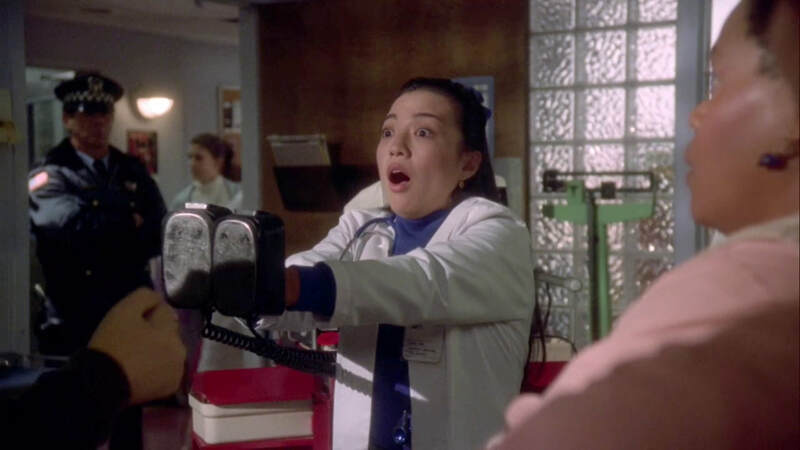 She was particularly adorable in "The Blizzard" ... rollerblading around the empty ER. Next... we know our sound is a little different this time... not sure why it happened, but it won't be the norm. And, lastly, we digress a little more than usual this episode... there was just so much to talk about! We hope you enjoy it. Season 1, Ep. 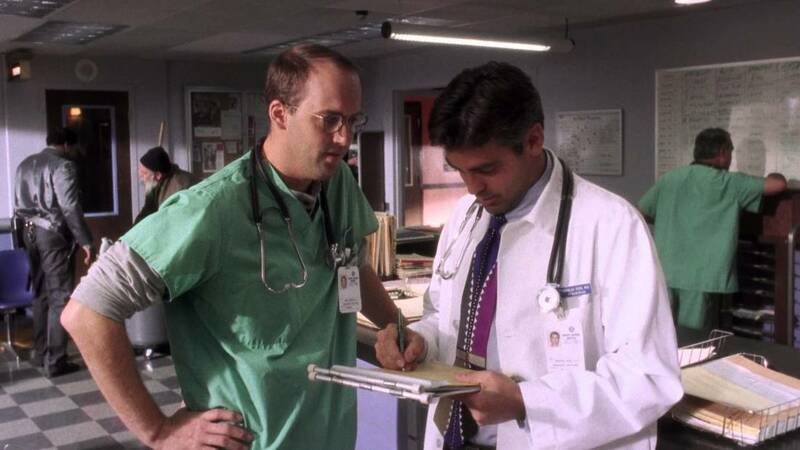 9 "ER Confidential"
In this episode, not only do we talk turkey, we also discuss being boring and responsible vs. flying off to the Bahamas as a kept man, the moral/ethical dilemma that Carol faces with a young patient, and Carter's life lesson. We also digress into bitcoin, overheard restaurant conversations, birth-control clothing... oh, and Debbie's head explodes. Season 1, Ep. 8 "9-1/2 Hours"
This episode is, well, a little different... we have guests! We invited two of our oldest friends to talk about Episode 8 with us. We laugh a little ... well, A LOT, and we might digress more than usual. But, we think you will like it and laugh right along with us. We talk about Mark and Jennifer playing hooky, Doug's ties, community refrigerators and who among us went to whose house to eat healthy food. Enjoy! Season 1, Ep. 7 "Another Perfect Day"
In this episode we love on ER patient Patrick, dissect the Carol/Tag/ Doug situation, find out what drove Michele to distraction all day and discover that Debbie might have trouble with delayed gratification when it comes to TV watching.